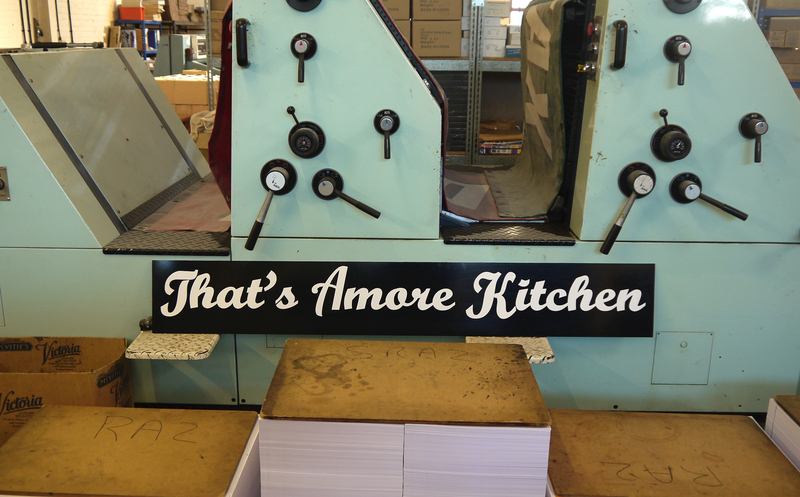 We recently did a small sign for “Thats Amore Kitchen” as they are branching out. This one is made with perspex and vinyl lettering. Ideal for outdoor use and can be fully customized to your size, font colour and image. Please enquire here and we will be back in touch as soon as posible.